Bhurj Tents are made by blending the concepts of traditional and contemporary designs which can be used as resort tents. Residential tent, jungle tent and are easy to install. Our range of Bhurj Tents are known for high quality and durability. They have proper ventilation systems and are available in various sizes, colours and designs patterns. We offer a wide range of Bhurj Tents that are tailored by using high quality fabric and other quality required components. 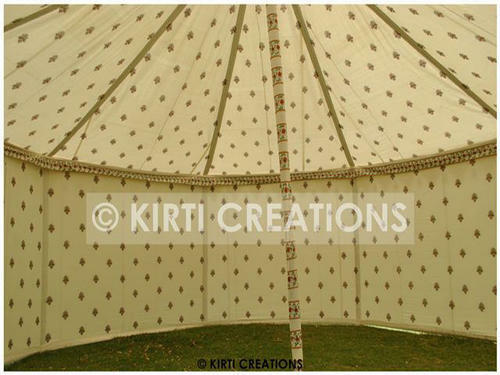 This Party Bhurj Tent is made of a best quality fabric which is adorned with beautiful blend of vibrant colors. Its impressive look is marked by the dotted fabric which change the mood of party in amazingly way.